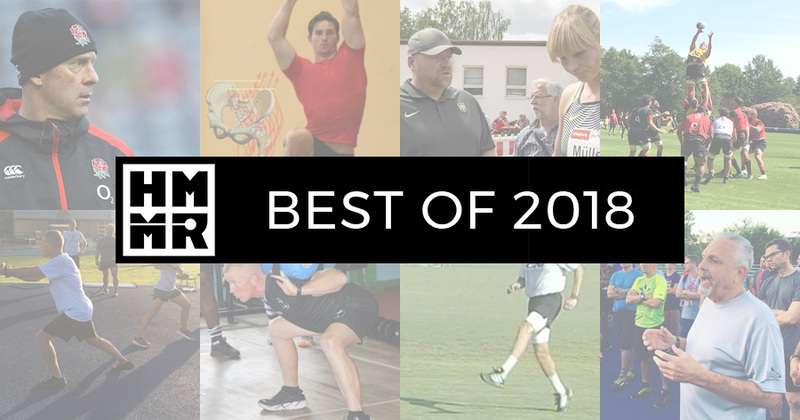 Earlier this week I posted a roundup of our top training resources from 2018. In addition to all the great content, I also had a lot of great experiences in 2018. Below are a few moments that highlighted my year. As always, we’ll keep sharing from about our experiences in 2019, so become a HMMR Plus Members to get complete access to all of the resources on our site, including the premium content in the HMMR Classroom. Publishing our second book. In June we released Training Talk: Conversations with a Dozen Master Coaches. We learned a lot from the process and hope to have a new title or two in 2019. Some people say old media is dead, but we find books are an essential part of learning. The European Athletics Championships in Berlin. Not only did the historic stadium give you goosebumps, but it proved to us that you don’t need to reinvent the sport to make it entertaining. You simply need to do simple things right when it comes to event presentation. Expanding our team. Our team keeps growing and in 2018 we added 6 new authors to the team. We now have 22 world-class coaches contributing to the site, all sharing their experiences working at the top level of international sports. European Pole Vault and High Jump Conference. I went to many great conferences this year such as GAIN. But a unique highlight for me was presenting to a bunch of jumpers in November. I don’t know if they learned anything from me, but it was helpful for me to to step outside of my community to learn. Listening to James Bemiller and David Butler talk shop about the intricacies of pole vault technique gave me a new understanding of movement and the hammer throw. Strengthening friendships. While I learned a lot from new people in 2018, I learned even more from strengthening existing friendships. We often neglect the fact that our friends can be some of the best resources out there. I get the chance to pick the minds of Nick and Vern every week on our podcasts. But the podcasts also give me a chance to dive deeper into conversation with other friends, like we did with Dan Lange, James Marshall, and others throughout the year. Also seeing friends work in person gives you a new perspective, something I observed visiting England Rugby and inviting Sergej Litvinov to Zurich in 2018.